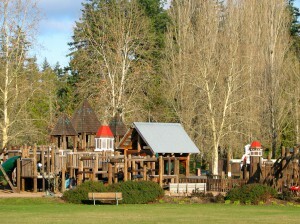 Battle Point Park is one of the most wonderful parks on Bainbridge Island. 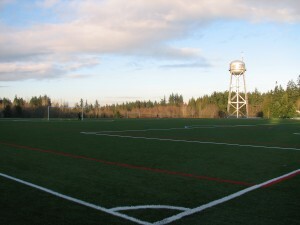 The park totals 90.3 acres, is a former naval radio station, and is largely open space with two ponds, 1.5 mile jogging trail, fitness course, two newly turfed soccer fields, three softball fields, horse area, a covered picnic shelter, two tennis courts, sand volleyball court, play areas, two basketball courts shared with a popular roller hockey court, a large children’s play structure, and community garden plots. The recently renovated Transmitter Building is used for gymnastics classes and camps. Click here for more park information.